Post-election analysis is always sober reading for political parties. History is written by the victors, flattering the outcomes of those who win and diminishing the significance of those who lose. I have never been a supporter of trade tariffs. Whilst some will find the jingoistic arguments for trade barriers superficially appealing, in the end the consumer pays every time. One of the most important roles of government is to defend our nation. There are internal and external threats that must be neutralised or mitigated to protect us all. Perhaps the most potent threat are the Islamic extremists at work here and abroad to attack our culture, undermine our values and destroy our way of life. The South Australian election has officially started and whilst a number of the issues are localised, others are part of the national agenda. Never has this been truer than what we have witnessed this week in Canberra. The Deputy Prime Minister is in all sorts of bother due to his personal choices, but that is all I am going to say about that today. 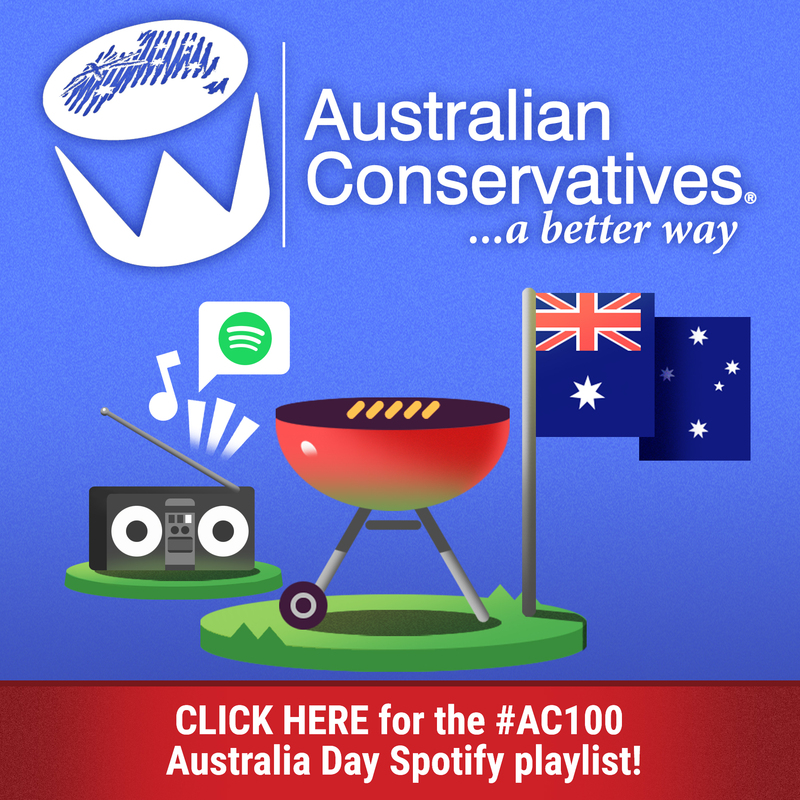 It has been said a week is a long time in politics so you can only imagine what a year is like - and today marks one year since the Australian Conservatives launched as a political party. The twelve months has passed so quickly and yet so much has been achieved. Thanks to the support of so many Australians, we have laid the foundations for a sustainable and formidable political movement that will deliver a better way for our nation. The tyranny of safe spaces and political correctness is creeping into almost every aspect of our lives. It seems everyone is oppressed, bullied, victimised, abused or somehow owed an apology from the few of us that want to stand on our own two feet. They were words of advice to me from one of the most successful stock market investors I have ever met. He has passed away since then but this, and many other insights he shared, will stay with me forever. It’s good advice for any investor (or politician) and particularly apt for the new ’crypto’ enthusiast. It’s great to be back with the first Weekly Dose of Common Sense for 2018. I trust you had a break that was as peaceful and relaxed as mine. As usual, the fish got the better of me but I managed to provide a few meals for the family!